Most industrial manufacturers are aware of the tedious and time-consuming nature of pattern casting in the production cycle. Apart from this, pattern casting is labour-intensive and subject to higher tolerance variations. New-age 3D printed pattern casting can help solve these production challenges. Sand casting patterns can be 3D printed easily with PolyJet or FDM Technology. 3D printed pattern casting can be used in foundries or in-house, depending on your production requirement. 3D printing also offers savings in labour, cost, and time, faster product development and can act as a tool for low-volume production. Leading manufacturers and foundries have already harnessed the benefits of 3D printed pattern casting. 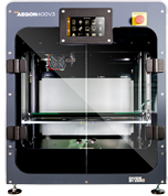 By simplifying the tooling and cast making process, 3D printing systems are gradually moving from prototyping to low-volume production roles. 3D printed pattern casting can offer the following benefits. Time and Cost Efficiency: As tooling costs are eliminated, 3D printing becomes an economical alternative to conventional pattern casting processes. Time saved in this stage empowers faster production-cycles and increases overall efficiency. Lower Turnaround Time: Time saved in the tooling and casting stages drastically halve the turnaround time across all the subsequent stages of manufacturing. This adds a great business value in terms of lower costs and added agility. Increased Accuracy: The output quality of the 3D printed pattern casting is highly-accurate with the lowest tolerance variations. In a production scenario, there is reduced wastage and minimized post-processing work for unfinished cast parts. Added Agility: 3D printed pattern casting empowers multiple pattern casting options. This allows manufactures to stay agile, make changes faster and lead the way to optimum and efficient design. 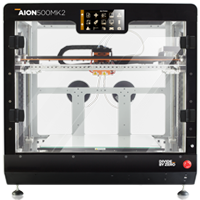 3D printers can also double-up as a tool for low–volume production. Traditional pattern production techniques have their limitations such as high lead times, dependency on skilled labour, higher cost and prone to erroneous shrink compensation. Premium-grade 3D printers from Divide By Zero are designed to be versatile making it perfect for casting among other applications. 3D printed pattern casting allows manufacturers to reduce dependency on third-party partners for their pattern casting needs. Unlike traditional methods, 3D printers allow visibility and control during actual development of casting patterns, be it sand or metal. 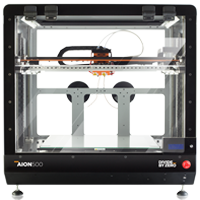 Our Aion 500 3D printer has already helped numerous foundries like Mumbai-based Greycast Founders integrate this powerful technology in their actual production scenario. 3D printing has already become a routine name in applications such product design, architecture, and engineering. With 3D printed pattern casting, foundries and manufacturers can reduce cost without any loss in output quality while saving time, labour and material. 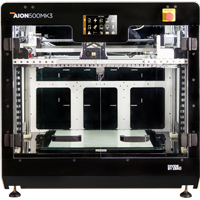 Industrial-grade 3D printers from Divide By Zero are armed to shape the way products are designed and manufactured. Our 3D printing solutions have already helped many clients in addressing their pattern casting challenges and increase operational efficiency. Read some of our success stories.